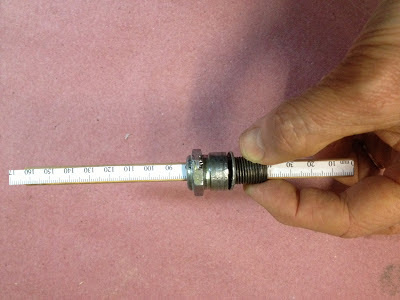 Get an old spark plug.Your ultimate goal is to eliminate the ceramic insert from the the metal plug body, then insert a dowel that will act as a measuring device, much like the stick on a pen-style tire guage. For your first step, grind off the bottom ground electrode.This will give you access you will need later. 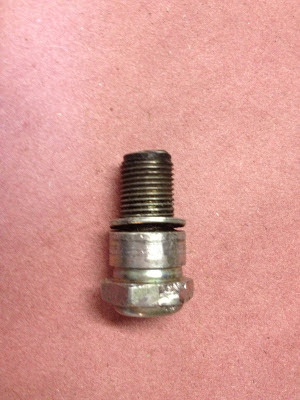 Now, place the plug in a vise, get a big hammer and knock the top off of the spark plug. Then use a series of punches to smash out the remaining insulator. You can't really hammer out the insulator in one piece; you have to break it out in pieces. I use a series of flat and drift punches to work on it. After about 10 minutes you'll smash enough pieces that the balance will fall out. You now need to clean up the inside of the metal jacket. Depending on your plug, you may have some metal retaining ring and some rough edges near the bottom of the insulator. 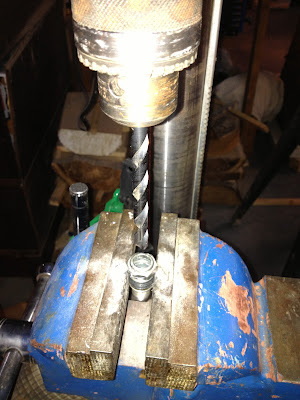 Put the plug back in the vise, and using a drill press and a 3/8" bit clean out the hole completely. Your plug may have suffered a bit from being in the vise and being repeatedly hammered, so you may have some other cleanup to do as well. Now get a 3/8" dowel about 7" long. The stroke on a Heinkel engine is about 2 3/8", the spark plug body is about 1 1/2", and you want to have enough extra to get a reading. 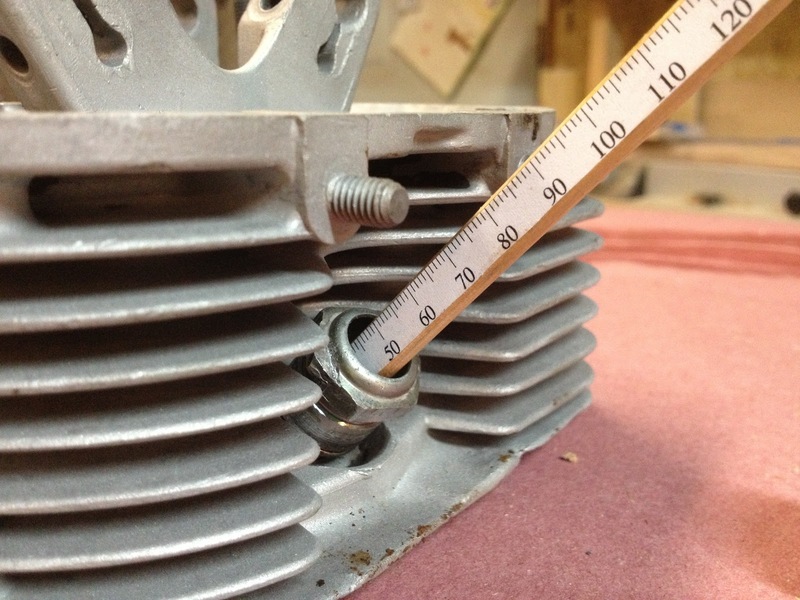 The 3/8" dowel will fit very nicely in the 3/8" hole, without any sloppy motion, and it will be long enough that you should never lose the stick in the engine. 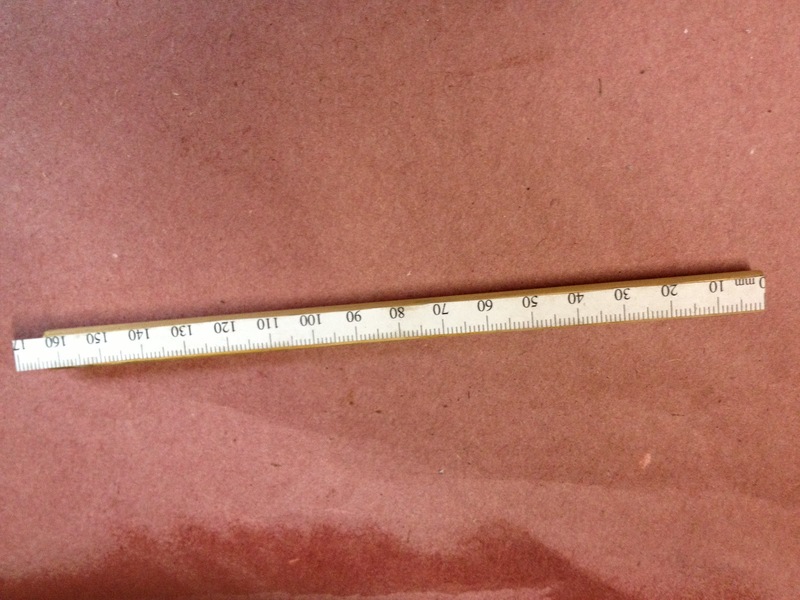 Go to the internet and print out a metric ruler. I got mine from here. Glue the ruler onto the dowel. Don't try to tape the paper to the dowel; you'll may make the assembly to wide and it won't slide freely. You may find it easier to use a slightly smaller dowel if the fit is tight, or flatten one surface of the dowel and glue the ruler to that. Now you are just about ready to go. Screw the insert into the plug hole. Insert the dowel into hole. You'll now be able to mark TDC on the dowel and dial it in at any time. 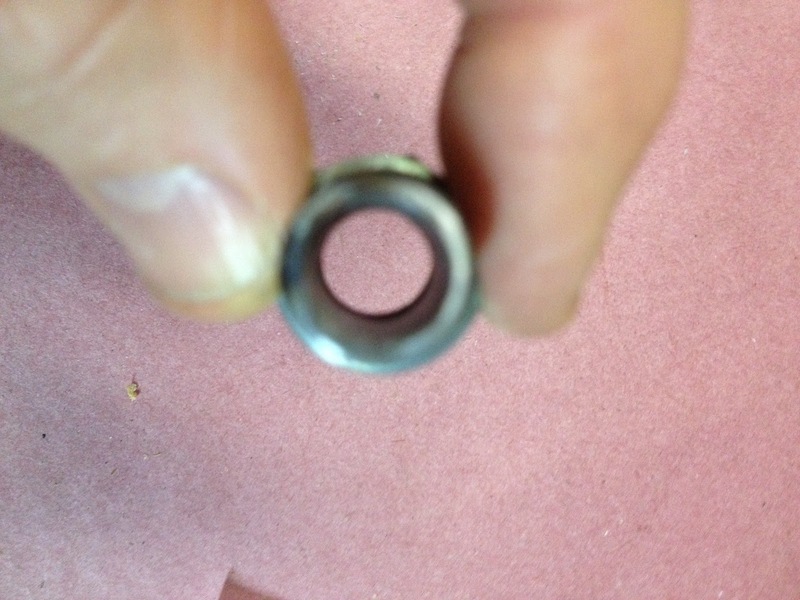 You may also want to screw a large washer onto the top of the dowel so you don't lose the dowel in the engine . You could also get fancy and attach a wire to make an indicator line, but this works well enough for me.